High Density Cushioning Foam/High-Loft Premium Polyester Cushioning. One of the plushest, most comfortable seats in the industry. Doweled, Corner Blacked, Glued and Screwed. Multiple processes, sometimes including truss plates where needed to ensure long lasting joints. Superior Seat Spring Construction. Sinuous wire springs are cross-wired to prevent sagging. Spring clips are coated with polypropylene to prevent squeaks. 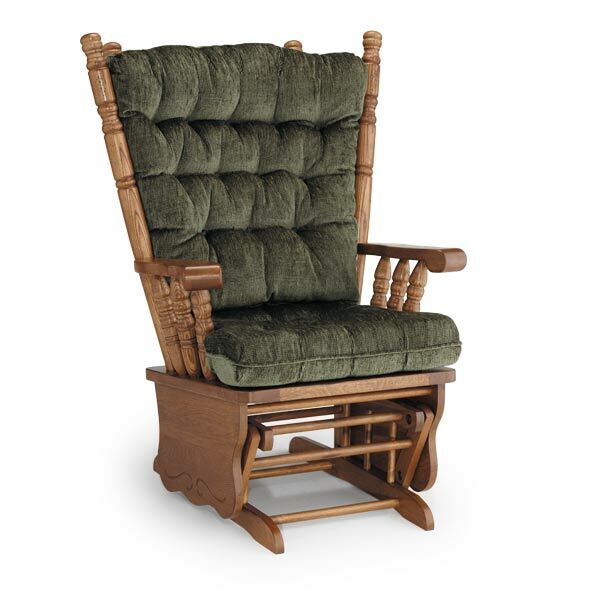 Our chairs feature hardwood frame construction. Special attention is added at each step of construction and every chair is individually upholstered by an experienced craftsman. Chair Height: 43 inches. Chair Width: 31.5 inches. 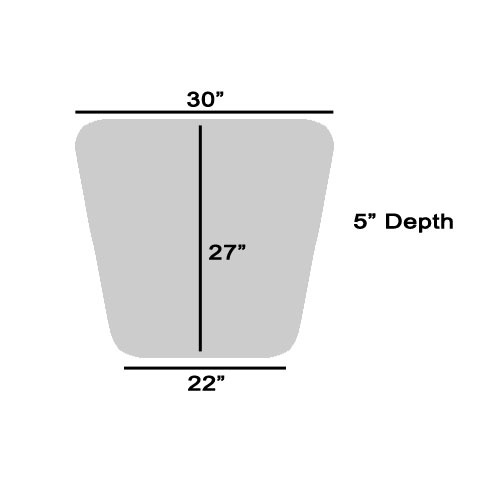 Chair Depth: 34.5 inches. Seat Height: 19 inches. Seat Width: 20 inches. Seat Depth: 18.5 inches. There is an optional matching ottoman available for an additional fee. 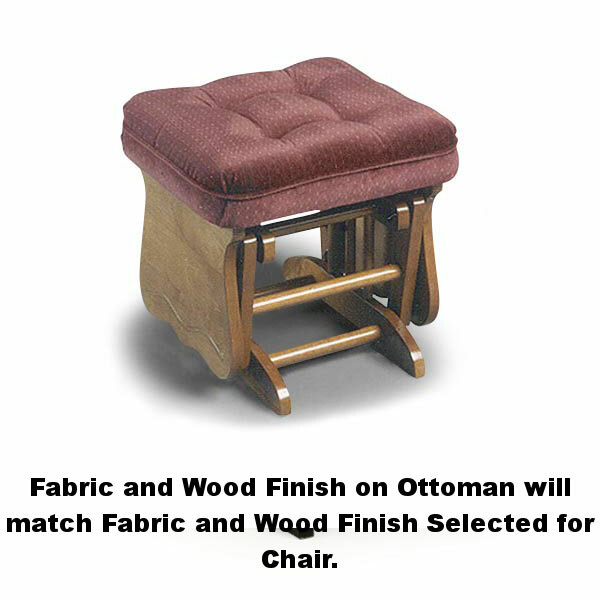 The fabric and wood finish on ottoman will match fabric and wood finish selected for chair. Ottoman Height: 16.25 inches. Ottoman Width: 19.5 inches. 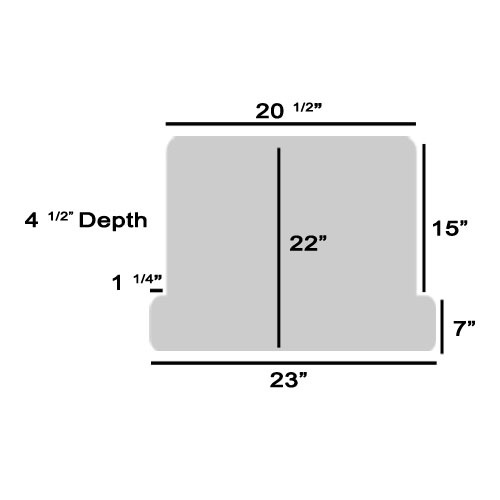 Ottoman Depth: 17.25 inches.